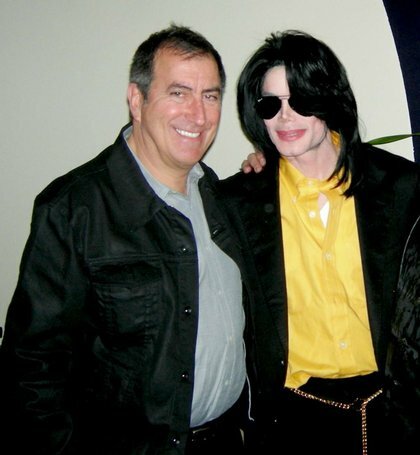 Producer/director of Michael Jackson’s final unperformed tour ‘This Is It,’ is Kenny Ortega and that headline above is his statement! Sources say that Ortega will testify at Dr. Conrad Murray’s preliminary hearing on manslaughter charges today and that he will make it clear that he thinks Murray is responsible for Jackson’s death. On June 19, 2009 a week before Michael Jackson died he felt sickly and so rehearsal was cancelled. The next day an emergency meeting was held with MJ, Dr. Murray, Ortega, and several other entertainment execs whose money was backing the tour – and the meeting was not nice – according to sources it was ‘intense, loud and argumentative.’ The point was that everybody was afraid that Michale Jackson would not be ready for the tour which was set to begin shortly. At that meeting Dr. Murray said some ‘terrible things about Michael Jackson’ – showing both lack of respect and concern for his patient’s health – and all this according to Ortega. Rehearsals were cancelled for the next 2 days so Michael Jackson could rest up and get in shape – But on June 23 and 24 somehow Michael was back in form and everybody there was impressed at his recovery and performance – he was dancing and singing just like the Michael we know and love. That is why it is so strange that he died the very next day! Ortega will testify that he believes Michael was fine on the day he died but then Dr. Murray started pumping him full of drugs.